These Bingo cards are about the Yuan Tan, which is the Chinese New Year. In the chinese calendar, the new year is probably the most outstanding occation and is celebrated by millions each year. 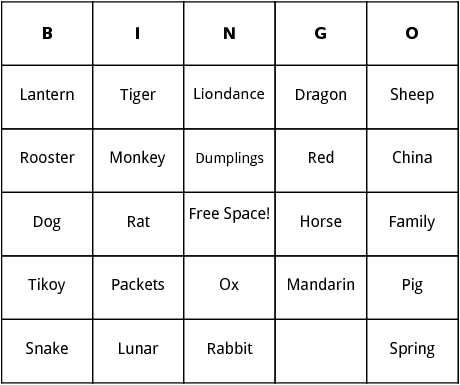 These bingo cards include different words like Fireworks, Red, Plums and Dragon.